What are the best cancer free diet tips from science?. Does medical research give simple cancer nutrition help? The guidelines for eating to prevent cancer now also include anti tumor nutrition to TREAT cancer. Scientists are already able to pinpoint exactly how certain foods have anti-tumor effects - for all cancers – as well as for cancers as specific as hormone driven (HER2) breast cancer. Eating flax seed, especially its lignan fraction, and LARGE portions of fruits AND vegetables will lower cancer risk big time! An Australian study showed a 40% reduction in melanoma for those who were eating fish. Studies implicate "BAD" omega-6 fat as STIMULATORS OF CANCERS. Instead, the "GOOD" long-chain omega-3 fats are INHIBITORS of the DEVELOPMENT and PROGRESSION of a range of human cancers, including melanoma! 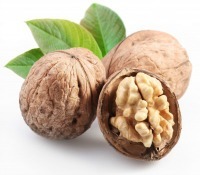 EAT LESS or NONE Omega-6 because in the USA people eat 10 times too much Omega-6 for proper balancing with Omega-3’s. There is Omega 6, in: corn oil, safflower oil, soybean oil, sunflower oil, cottonseed oil. "There is no better anti-cancer agent than activated vitamin D, called vitamin D3. It does everything you'd want," explains Dr. J. Cannell of the Vitamin D Council. The body converts vitamin D into a steroid hormone. The genes that are affected by this are the ones in charge of FIXING DAMAGED CELLS and maintaining good CELL HEALTH. These cancers all appear linked to vitamin D shortages. Large scale vitamin D studies have amazed even the researchers, who found that taking vitamin D supplements and calcium substantially reduced ALL CANCER RISK – by 77%. This four-year study, conducted by researchers at Creighton University in Nebraska, studied over a thousand women who were over the age of 55. Dr. Reinhold Vieth, one of the world's top vitamin D experts says that -- rather than pollutants, the critical factor for cancer "is more likely a lack of vitamin D."
He recommends taking AT LEAST 1000 IU of vitamin D in the winter and for anyone not getting into the sun. Many are now recommending 5000 IU of vitamin D per day and are DOUBLING that for a therapeutic dosage. It turns out that olive oil is an over-looked part of the cancer free diet! Extra virgin olive oil against breast cancer? 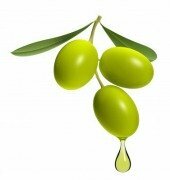 Spanish researchers have isolated at least 30 phenolic compounds that have anti breast cancer activities in olive oil. They demonstrated that these selected nutrients from an olive oil-rich "Mediterranean diet" directly regulate HER2-driven breast cancer disease. Eat broccoli, cabbage and and Broccoli sprouts: Cruciferous or brassica vegetables have a demonstrated anti tumor effect. The most potent of these are broccoli sprouts. Tea and Green tea contain compounds that inhibit cancer. Berries are very promising, and scientists are developing supplements with proper doses of their active ingredients. Sea weeds or sea vegetables have been studied intensely for their anti cancer activities, especially kelp. There are many studies showing FUCOIDANS contained in brown seaweeds to inhibit anti tumors, prevent tumors from spreading and "inhibit metastasis." Immunotherapy is being added to medical cancer treatments and this is doubling and tipling survival rates! Fortunately there are immunotherapy protein supplements that can be ordered by anyone, for healing cancer naturally with their treatment. 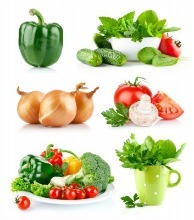 We hope that you have been inspired to heal cancer naturally with a cancer free diet. Best to add simple cancer nutrition and supplements to your treatment. 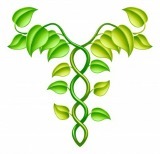 Your treatment outcome will improve with a high immune system! Especially with serious cancers, and cancers that have spread, you will want to take proven immunotherapy protein supplements. Fortunately, special anti cancer proteins are now available to the public. These are the best supplements for immune system strength with cancer treatments. Even the sunshine vitamin for immune system help with cancer. There is lots of help for long term recovery, especially with help from a cancer free diet.